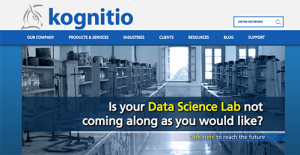 Kognitio Cloud is a fast and scalable analytical platform that is offered on a subscription basis. You can opt either for the flexibility of the public cloud or the security and performance of the vendor’s private cloud. Users can utilize the flexibility and power of the Kognitio Analytical Platform that has been designed specifically for data analytics. Kognitio Cloud offers businesses fast and relevant insights on data about their partners, clients and market environment. The platform is ideal for complex analytical data projects. It provides good performance with less administration, tuning and support. Kognitio Cloud helps businesses to make decisions from new and evolving analysis requirements. It can ingest data from the internet, third party sources, CRMs, and other application systems, and immediately begin data analysis. If you are interested in Kognitio Cloud it could also be sensible to analyze other subcategories of Best Business Intelligence Software listed in our database of B2B software reviews. Each enterprise has its own characteristics, and may require a special Business Intelligence Software solution that will be adjusted to their business size, type of customers and employees and even specific niche they cater to. It's not wise to count on finding a perfect services that will be suitable for each business regardless of their history is. It may be a good idea to read a few Kognitio Cloud reviews first and even then you should pay attention to what the service is intended to do for your business and your staff. Do you require a simple and intuitive app with only elementary functions? Will you really use the complex tools needed by experts and big enterprises? Are there any specific features that are especially beneficial for the industry you operate in? If you ask yourself these questions it will be much easier to find a reliable software that will fit your budget. How Much Does Kognitio Cloud Cost? Kognitio Cloud charges by the hour and pricing starts at 64 cents for seven gigabytes. We realize that when you make a decision to buy Business Intelligence Software it’s important not only to see how experts evaluate it in their reviews, but also to find out if the real people and companies that buy it are actually satisfied with the product. That’s why we’ve created our behavior-based Customer Satisfaction Algorithm™ that gathers customer reviews, comments and Kognitio Cloud reviews across a wide range of social media sites. The data is then presented in an easy to digest form showing how many people had positive and negative experience with Kognitio Cloud. With that information at hand you should be equipped to make an informed buying decision that you won’t regret. What are Kognitio Cloud pricing details? What integrations are available for Kognitio Cloud?